Want a simple way to sort your council tax payment arrangements? If you’ve just received your Council Tax bill and you need to sort out your payment arrangements it’s quicker and easier online. You can make a one-off payment, set up a direct debit or change your payment method on our web pages. 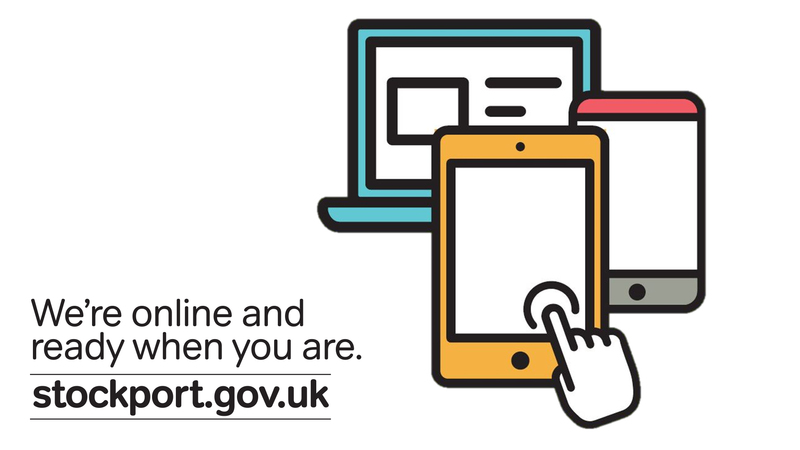 Our website works on your smartphone, tablet or computer, 24 hours a day, 7 days a week making it easier for you to report, apply and pay for things and find out information on a wide range of services. Cllr Elise Wilson, Cabinet Member (Reform and Governance), Stockport Council said: “Most people in Stockport are already online and enjoying the benefits of using the internet so we encourage residents to visit our website to report things, apply and pay for services, find out information and stay connected with their community. “Our website has information on most aspects of daily life in Stockport. Whether you want to sort out your Council Tax payments, check what bin to put out this week, look for children’s events at Easter, reserve or renew your library book or find a community group, it’s all available at your fingertips, whenever and wherever you’re online.